Building on the popularity of the 180 CFX, the Trio 180 CFX is a powerful, micro, 3D machine that now comes with a 3-bladed rotor head improving response and collective authority. Combined with optimized servo geometry, enhanced digital metal gear servos, carbon fiber frame and a lighter overall profile, the Trio 180 CFX provides intermediate and advanced pilots the crisp flight experience that made the 180 CFX a micro 3D standout. 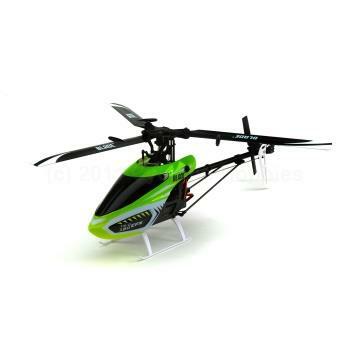 Featuring a high-torque brushless outrunner main motor and Castle Creations ESC, this heli features a potent punch every pilot needs for thrilling back yard 3D maneuvers. Additionally, AS3X® technology makes it extremely stable in the air. All of this comes in a Bind-N-Fly® Basic package?just add a 3S 450mAh battery, bind to a 6+ channel SpektrumTM transmitter and fly!